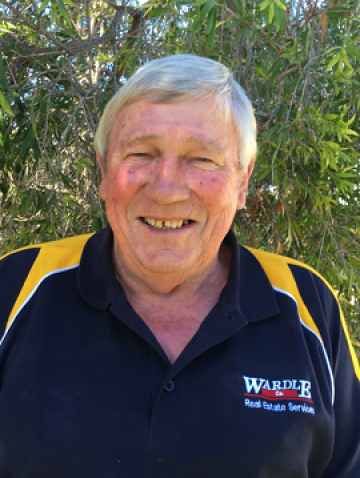 Howard's past has covered various areas of the state, firstly in the wool and stock industry and for the past 35 years has specialized in the Real Estate industry covering residential, hobby farms, rural broadacre sales and service in areas of upper Spencer Gulf, Southern and Mid North Flinders Ranges townships and surrounds. Howard likes being involved in local community and sporting activities and getting to know people in building a trusting relationship with repeat clients and new clients to help in anyway with their real estate needs. Aged weatherboard clad home with verandahs all sides, features high ceilings. 4 main rooms comprising big country size kitchen with wood stove, lounge with open fire place, 2 bedrooms, bathroom etc. Central locality and within few minutes walk to township services. Would make ideal base to visit Flinders Ranges surrounds. An appealing home in a quiet/open space locality. 3 bedrooms (2 with b.i.robes), lounge with combustion heating, country style kitchen, neat family bathroom. Evap air-conditioning, exceptionally wide full length back verandah ideal for BBQ/Outdoor entertainment, double & single garages with floor & power, rain water plumbed to house, established leafy garden surrounds including a pond. LOOK! â this property boasts value for money. This well cared for property is centrally located in this picturesque Southern Flinders Ranges town ship. Lots of character and charm featuring return bullnose verandahs, polished timber floors, high ornate pressed metal ceilings and an open fireplace. - Two Bedrooms. - Lounge with combustion heating & Split system air conditioning. - Country style kitchen/meals area. - Family room & sun room. - Tidy bathroom. - Ceiling fans. - Detached brick garage. - Pressurised rainwater. - 40x60m block. Located on Acacia Road â only a short drive to Township centre. Spacious Homestead Style Home on 6.67 hectares (16.5 acres) with return verandah. 4 bedrooms, open plan living of new look kitchen integrating to lounge and dining complimented with flued combustion heating, family retreat, attached semi-enclosed outdoor living having flued pot belly stove, solar panels, pressurized rainwater, 40â x 20â shed, 30â x 40â (approx.) open front for vehicles and storage, round yard. The ideal sea change to enjoy the atmosphere of a rural life style with livestock and the scenic views of Flinders range and Willochra plain. This much loved character home is positioned on a generous allotment within an excellent location of Wilmington being adjacent the local primary school and a short walk to the local shops. - c1910 Built 3 bedroom, 1 bathroom home. - Spacious open plan design with combined kitchen/dining/lounge. - The kitchen features ample bench space with wall oven, electric stove and walk in pantry. - Updated bathroom with shower, bath and modern vanity. - Built in robes to badrooms 1 & 2. CT5293/146. Located on township fringe, natural native bush block of 1.13 ha (3.25 acres), 2 bedroom brick veneer, tiled roof home â master w/- b.i. robe, open plan living â lounge/dine/kitchen/family w/- flued combustion heating and evap airconditioning, bathroom, second wc, two attached carports, garage, 2 utility sheds, horse coral, services connected. Peaceful picturesque hideaway with views of Flinders Ranges and surrounds. BUSINESS / COMMERCIAL PREMISES Central locality and frontage to major East/West corridor across Australia. Land size 20m x 50m - large building comprises show floor space, 2 offices, counter closet, back area for storage (includes w.c), 5kw solar panels. Great for an enterprise to service other townships and surrounds in this Southern Flinders Ranges area. Ideal to enjoy the open space of rural living. Located within short drive of township. *Front entrance passageway. * 5 Bedrooms (master w/- b.i. robe). *Lounge with combustion heating. *Expansive pine timber kitchen (as New) w/- dishwasher, gas hot plates, elec oven and still retaining old meters wood stove of yesteryear. *Features lofty ceilings & polished pine floors. *Combination bathroom/laundry, his & hers wc. *Concrete driveway leading to 4 car garage. *Large shade house. * Games room/den. *PLUS :- 5 k/watt solar panels - 4 split system air conditioners - host of ceiling fans - 5 TV points, large rainwater storage pressurized to house. *Short walking distance to township centre. JUST MOVE IN- LIVE AND ENJOY. Short distance from township, sealed road frontage, natural native vegetation, water course passing through, odd shade tree. Ideal for the horse lover. Tidy pine module home with colourbond roof, verandahs all sides, tiled floors throughout, 2 bedrooms, lounge with combustion heating, kitchen/dining with walk-in pantry, floor to ceiling tiled bathroom, laundry, split level air-conditioning, gas HWS, 9,000 rain water storage (40,500 LT) pressurized throughout, attached carport and added extensions to verandahs , 9m x 6m garage, with floor and attached carport. Host of native plantings, located on township fringe.